Bateau neckline; bow back detail. 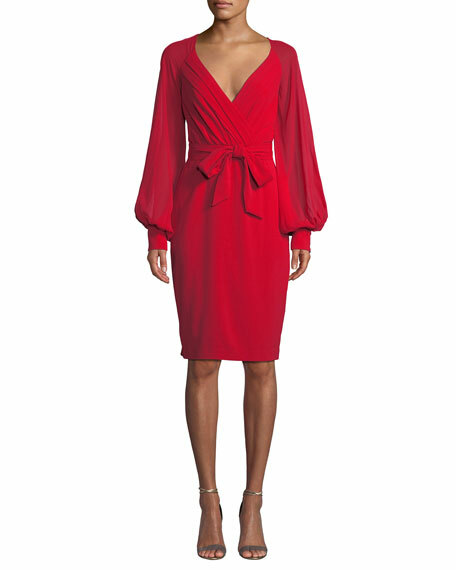 La Petite Robe scuba cocktail dress with layered ruffle sleeves. Bateau neckline. Three-quarter sleeves. A-line silhouette. Knee-length. Raw-edge hem for ease of tailoring. Step-in style. Nylon/spandex. Made in Italy.